Peony flowers are large, showy and sometimes fragrant, making them an essential in the sunny flower garden. Foliage of this herbaceous plant lasts all summer and is an attractive background for other plantings. 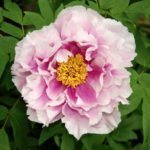 Learn how to grow peonies, whether the tree or garden form, for abundant flowers for cutting and a show in the landscape. Care for peonies is not difficult if you’re planting within the right growing zones, USDA Zones 2-8. Peony flowers bloom for about a week, somewhere between late spring and early summer. Select early, mid-season and late bloomers for a long lasting display of exquisite, growing peonies. Peony care involves planting peonies in a sunny location with organic, well-draining soil. When growing peonies, include a stake or trellis for support on tall and double varieties. Peony flowers come in most colors, except for a true blue. With breeders continually making changes, this color may be available soon. Divide peony clumps following a summer when flowering is not abundant, every few years.. Divide and replant them in the fall for best performance. With a sharp knife, split the bulbs, leaving three to five eyes on each division. Replant so that eyes are about an inch deep and allow 3 feet between each plant. Incorporate organic matter into the soil before growing peonies for a jump start on peony flowers. Care for peonies involves winter mulching in colder zones where no snowfall blankets the ground and insulates the peony bulbs. 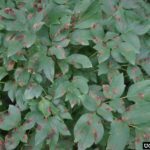 Insect control during care of peonies is minimal; however, peony flowers and plants may be infected by fungal diseases such as botrytis blight and leaf blotch. These fungal diseases may damage stems, leaves and flowers and may require removal of the entire plant. Disposal of infected plant materials is required during this infrequent aspect of growing peonies. If you suspect your peonies were killed by fungal disease, plant more peonies in a different area in the fall. Take advantage of a fabulous flower for many landscapes. Choose a peony bush or tree to include in your fall bulb planting routine.